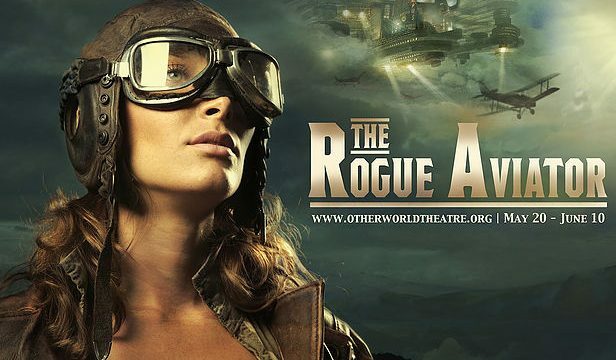 Otherworld Theatre Company, an ensemble founded and led by Columbia College Chicago Theatre Department alumni, presents the world premiere of a “Dieselpunk” adventure play, The Rogue Aviator, running May 20-June 10 at Strawdog Theatre, 1802 W. Berenice, Chicago. 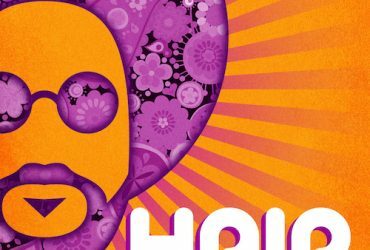 Tickets for the show are “Pay What You Can,” with a suggested price of $20. The Rogue Aviator presents an alternate history of the 1930s, in which the floating city of Olympus has been built among the clouds of America. Though Olympus is sold as the epitome of the American Dream, citizens admitted into its iron embrace find themselves living as prisoners in what they once hoped would be their promised land. Rogue Aviator Ellie McCloud navigates the perils of her era. Once raised among the elites of Olympus, Ellie now fights for the freedoms of those they oppress. In a world of fanatical rulers and nearly forgotten masses living in the bowels of the city, Ellie must wage a war on two fronts: the Sky Pirates who lay their claim to the city, and her moral battle within. 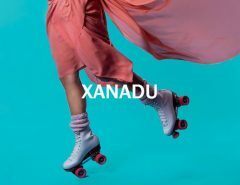 The show is directed by Columbia College Chicago Theatre Department alum Tiffany Keane Schaefer ’12, a graduate of the Theatre Department’s Directing Program. She founded Otherworld Theatre in 2012 to specialize in theatre dedicated to science fiction and fantasy storytelling. Columbia College alumnus Dylan Schaefer ’12, a graduate of the Theatre Department’s BA Program in Acting, is in the cast, and the production’s fight choreographer is alumnus Kai Young ’12, also a graduate of the Acting BA program.